Kealia Ohai picked up 2017 right where she left off. Just 15 minutes into the opening game of the 2017 National Women’s Soccer League season, the Dash forward scored yet again, beating Chicago goalkeeper Alyssa Naeher. It was a lead that Houston would never relinquish as the Dash went on to win 2-0 over the Red Stars at BBVA Compass Stadium in Houston. 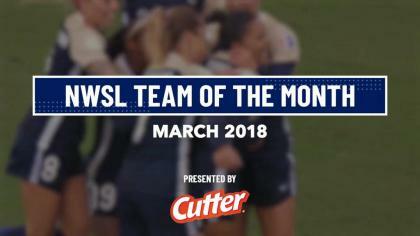 Ohai, who tied for the league lead last year with 11 goals (but missed winning the Golden Boot to a tiebreaker), extended her goal-scoring streak to 12 goals in her last 11 games. English international Rachel Daly doubled the scoring for the Dash in the 80th minute with a brilliant left-footed curling shot that beat Naeher at the far post. Match ends, Houston Dash 2, Chicago Red Stars 0. Second Half ends, Houston Dash 2, Chicago Red Stars 0. Substitution, Houston Dash. Cambria Privett replaces Kealia Ohai. Attempt saved. Claire Falknor (Houston Dash) left footed shot from the right side of the box is saved in the bottom left corner. Assisted by Sarah Hagen. Goal! Houston Dash 2, Chicago Red Stars 0. Rachel Daly (Houston Dash) left footed shot from the right side of the box to the top left corner. Assisted by Kealia Ohai. Offside, Chicago Red Stars. Vanessa Di Bernardo tries a through ball, but Casey Short is caught offside. Attempt saved. Sofia Huerta (Chicago Red Stars) right footed shot from the centre of the box is saved in the bottom right corner. Assisted by Jennifer Hoy. Attempt missed. Vanessa Di Bernardo (Chicago Red Stars) right footed shot from the centre of the box misses to the left. Assisted by Christen Press. Attempt saved. Sarah Hagen (Houston Dash) header from the left side of the six yard box is saved in the centre of the goal. Assisted by Poliana with a cross. Offside, Chicago Red Stars. 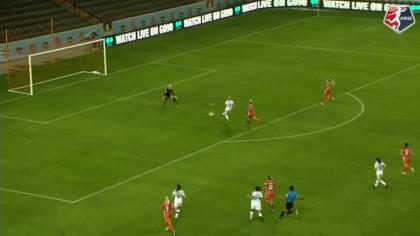 Jennifer Hoy tries a through ball, but Christen Press is caught offside. Attempt saved. Andressinha (Houston Dash) right footed shot from outside the box is saved in the centre of the goal. Assisted by Cari Roccaro. Corner, Houston Dash. Conceded by Julie Ertz. Substitution, Chicago Red Stars. Sofia Huerta replaces Stephanie McCaffrey. Attempt blocked. Christen Press (Chicago Red Stars) right footed shot from the centre of the box is blocked. Assisted by Jennifer Hoy with a cross. Attempt saved. Andressinha (Houston Dash) left footed shot from the left side of the box is saved in the centre of the goal. Assisted by Cari Roccaro. Attempt missed. Casey Short (Chicago Red Stars) header from the centre of the box misses to the left. Assisted by Vanessa Di Bernardo with a cross following a set piece situation. Offside, Chicago Red Stars. Samantha Johnson tries a through ball, but Stephanie McCaffrey is caught offside. Attempt missed. Amber Brooks (Houston Dash) header from the right side of the box misses to the right. Assisted by Kealia Ohai with a cross following a corner. Attempt blocked. Rachel Daly (Houston Dash) header from the centre of the box is blocked. Assisted by Andressinha with a cross. Attempt saved. Kealia Ohai (Houston Dash) right footed shot from a difficult angle on the right is saved in the bottom right corner. Attempt blocked. Rachel Daly (Houston Dash) right footed shot from the centre of the box is blocked. Assisted by Kealia Ohai. Second Half begins Houston Dash 1, Chicago Red Stars 0. First Half ends, Houston Dash 1, Chicago Red Stars 0. Offside, Chicago Red Stars. Stephanie McCaffrey tries a through ball, but Jennifer Hoy is caught offside. Offside, Houston Dash. Cari Roccaro tries a through ball, but Kealia Ohai is caught offside. Attempt blocked. Jennifer Hoy (Chicago Red Stars) right footed shot from outside the box is blocked. Assisted by Christen Press. Attempt saved. Stephanie McCaffrey (Chicago Red Stars) right footed shot from the right side of the box is saved in the top left corner. Attempt saved. Christen Press (Chicago Red Stars) left footed shot from outside the box is saved in the centre of the goal. Assisted by Jennifer Hoy with a headed pass. Attempt blocked. Christen Press (Chicago Red Stars) left footed shot from outside the box is blocked. Assisted by Vanessa Di Bernardo with a headed pass. Offside, Chicago Red Stars. Jennifer Hoy tries a through ball, but Stephanie McCaffrey is caught offside. Corner, Chicago Red Stars. Conceded by Amber Brooks. Attempt blocked. Stephanie McCaffrey (Chicago Red Stars) right footed shot from the centre of the box is blocked. Assisted by Christen Press. Attempt saved. Rachel Daly (Houston Dash) right footed shot from a difficult angle on the left is saved in the bottom left corner. Assisted by Janine Beckie with a cross. Goal! Houston Dash 1, Chicago Red Stars 0. Kealia Ohai (Houston Dash) left footed shot from the centre of the box to the bottom right corner. Assisted by Amber Brooks with a through ball following a fast break. Attempt blocked. Vanessa Di Bernardo (Chicago Red Stars) left footed shot from the left side of the box is blocked. Stephanie McCaffrey (Chicago Red Stars) hits the right post with a right footed shot from the centre of the box. Amber Brooks (Houston Dash) wins a free kick on the left wing. Corner, Chicago Red Stars. Conceded by Bruna Benites. Attempt saved. Kealia Ohai (Houston Dash) right footed shot from the left side of the box is saved in the bottom right corner. Assisted by Cari Roccaro.